Council of Higher Secondary Examination,Orrissa (CHSE) 2019 - Exam Notifications, Exam Dates, Course, Questions & Answers, Preparation Material. CHSE 2019 Exam The Council of Higher Secondary Education, Orissa was established in accordance with the Orissa Higher Secondary Education Act 1982 having been assented to by the Governor on the 23rd October 1982 to regulate, Control and develop Higher Secondary Education in the State of Orissa.The administrative function of the Council commenced from 7th September 1982 in a rented building at Goutam Nagar, Bhubaneswar. In course of time the Council has constructed its own administrative building over Plot No. 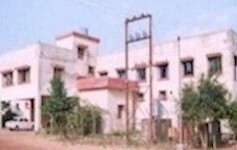 C-2, Samantapur, Bhubaneswar and functioning in its own building since 2nd January 1996. The name of the campus is Christened as "PRAJNAPITHA". Director of Public Instruction (Higher Education), Orissa. Director of Public Instructions (Schools), Orissa. President, Board of Secondary Education, Orissa. Director of Technical Educational and Training, Orissa. Principal, Regional College of Education, Bhubaneswar. Director, State Council of Educational Research and Training, Orissa. Principal, College of Physical Educational, Cuttack. Director, National Cadet Corps or his nominee. A representative of the Education and Youth Services Department not below the rank of Deputy Secretary. A representative of the Finance Department not below the rank of a Deputy Secretary. Ten register teachers of recognised colleges including junior Colleges. Five registered teachers of Higher Secondary Schools to the extent available. Three Circles Inspectors of Schools. Not more than ten specialists in vocational subjects prescribed for the Higher Secondary Course. One representative from each of the Universities in the State to be elected by the members of the respective Academic Councils from among themselves. One representative of the Board of Secondary Education to be elected by the members of the Board. Deputy Secretary to Govt., Deptt. of Higher Education dealing with the matter relating to CHSE. matter of Higher Education, Deptt. Principal, Tulasi Women's College, Kendrapara. Principal, Tarini Thakurani Mohavidyalaya, Ghatagaon, keonjhar. Headmaster, L.S.H.S. School, Jeykaypur, Rayagada. Headmaster, S.E. Rly. Mixed H.S. School, Bandhamunda, Sundargarh. Dr. Kailash Chandra Rout, Reader in Chemistry, J.K.B.K. College, Cuttack. Dr. Prabhat Kumar Routray, Sr. Lecturer in Zoology, N.S.M. City College, Rajabagicha, Cuttack. Dr. Bijaya Kumar Rout, Sr. Lecturer in Chemistry, Maharshi College of N. Law, BBSR. Sri Basanta Kumar Das, Sr. Lecturer in Oriya, Srinivash College, Mangalpur, Soro, Balasore. Head of the Deptt. of Oriya, P.S.H.S. School, Danara. Deogarh. Head of the Deptt. of Economics, Dharmasala H.S. School, Dharmasala, Sonepur. Dr. Dusmanta Kumar Sahoo, Reader in Commerce, B.J. B. College, Bhubaneswar. Sri Bipin Bihari Mohapatra, Retd. Joint Director Fisheries Orissa, Plot No. 20/21, Ravi Talkies Square, Bhubaneswar. Dr. Niranjan Rout, M.S. (Patho), Associate Prof. Pathology, Acharya Harihar Regional Cancer Institute, Cuttack. To prescribe courses of instruction for recognised institution in such branches of Higher Secondary Education as it may think fit. To take steps to co-ordinate Higher Secondary Education with University Education on the one side and Secondary Education on the other. To make regulations for the purpose of prescribing and recommending any book as a text or a hand book or to undertake compilation and publication of such book. To make regulations for imposing penalties for acts of misconduct of students, teachers, examiners, examinees, printers of Text-Books or question papers or persons connected with the examination of the Council. To publish the results of its examinations. To grant diplomas and certificates to successful candidates. To establish, control, regulate or administer any Junior College or any Higher secondary School subject to the approval of the Government. To bring about practical co-ordination between State owned Industrial Institutes, Factories or Workshops or vocational Institute, Agricultural Farms, Animal Husbandary Centres or Pisciculture Institutes and the Higher Secondary Schools or Junior Colleges providing for vocational courses by way of providing adequate and systematic practical training which will be commendatory to the theoretical instruction at the schools or colleges. To lay down the qualifications of teachers required to teach the subjects included in the courses of study in different branches of Higher Secondary Education, the workload of such teachers and the number of working days in an academic year and other matters incidental thereto. To adopt measures to promote the intellectual, physical, moral and social welfare of the students of the recognised institutions and to supervise and control the condition of their residence, health and discipline. To administer funds placed at its disposal for the purposes for which they are intended or generated for the purposes of the Council. To submit annual accounts and balance-sheet together with the annual report of the Council to the Government and publish the audited accounts and balance sheet in the Gazette. To maintain register of teachers and register of students admitted to the Higher Secondary courses. The Council has neither failed to exercise its power, functions nor exceeded or abused any of the powers conferred on it.